Don’t let lukewarm reviews fool you: Anonymous is a really good movie. It includes some far-fetched plot-twists, but overall it builds a compelling drama out of the theory that William Shakespeare did not write Romeo and Juliet, Macbeth, Hamlet, and the other plays and poems attributed to him. It’s a fascinating idea and worth a close look. The doubters are called anti-Stratfordians because William Shakespeare came from Stratford-upon-Avon. They include Sigmund Freud, Mark Twain, Otto von Bismarck, Walt Whitman, Charles Dickens, Henry James, Ralph Waldo Emerson, Prime Minister Lord Palmerston, Orson Welles, and three U.S. Supreme Court justices. They believe someone other than Shakespeare wrote the great plays and poems and used William of Stratford as a mere front-man. 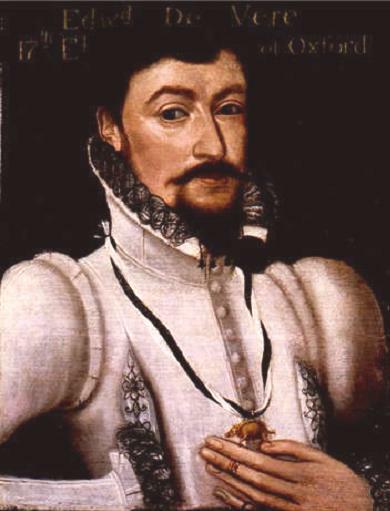 Anonymous offers Edward de Vere, Earl of Oxford, as the true author, and he’s the anti-Stratfordians’ favorite candidate. But the debate has produced a long list of author candidates, including Queen Elizabeth herself. Wrong Education & Background: The author of Shakespeare’s plays and poems had a larger vocabulary than anyone we know. His work reflects a broad knowledge of history, law, philosophy, music, and the literature of many countries, as well as a firm grasp of royal and aristocratic life. William Shakespeare, however, wasn’t an aristocrat or anyone likely to spend time at a royal court. He was an actor and merchant and the son of a merchant. He almost certainly had no higher education, and he may not have gone to school at all—which wouldn’t be unusual in an age when formal education and even books were rare outside the upper classes. Nor is there any evidence that Shakespeare spoke or studied any foreign languages, or traveled outside England. Questionable Literacy: The six surviving examples of Shakespeare’s handwriting are signatures so lopsided that some claim the penman could barely write—which again wouldn’t be unusual in Elizabethan England. And Shakespeare came from an illiterate family. His parents and one of his daughters signed their names with a mark, and his other daughter used a lame scrawl that looks memorized, rather than written. Retirement without Writing: In his late forties, Shakespeare returned to Stratford for a cushy retirement. From then on, so far as anyone can tell, he never wrote another play or poem—or even a letter. Yet most authors feel compelled to write and would do so far more if they could retire from financial cares. Un-poetic Last Will & Testament: Shakespeare’s 1616 will survives, but it doesn’t mention any papers, manuscripts, or books—or his plays, published or unpublished. It’s almost as if he owned no works of literature or didn’t prize those he had. The anti-Stratfordians believe the true author had some reason to keep a low profile and found William Shakespeare a useful decoy. 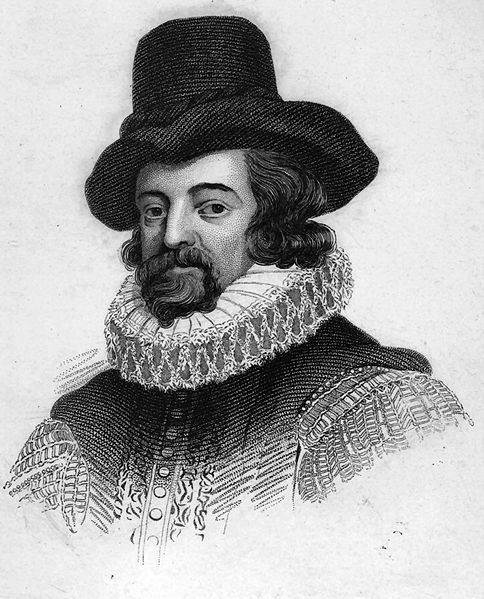 The candidates range from public officials like Francis Bacon, who might have hurt his illustrious career by stooping to a commercial enterprise like the theater, to aristocrats like the Earl of Oxford, who likewise couldn’t be seen slumming it by writing for riffraff, to Cambridge-educated playwright Christopher Marlowe, who some think faked his 1593 death to hide from the law. We know relatively little about William Shakespeare, so it’s hard to discredit the anti-Stratfordians. But the vast majority of academics think Shakespeare did write the plays and poems. The evidence against him is merely circumstantial, and no one during his time and for more than two centuries after recorded any doubts about his role. Plus, modern textual analysis points to an author with Shakespeare’s background who lived and died when he did (1564-1616). The plays’ historical and classical references, for instance, include errors consistent with the limited grammar schooling a boy from Stratford might have received. I think the pro-Shakespeare argument hints at an even more interesting history than the anti-Stratfordian theory. If William of Stratford did write the plays and poems, what’s his story? How did a merchant and actor from an illiterate family learn so much? Did he stumble across a cache of hidden books? Did he travel across Europe as a juggler or mercenary or beggar? Did he rub elbows with rulers as a stable-boy or as a set-builder for royal theatrical productions? And if so, why didn’t he tell the world about his adventures? Finally, what was wrong with him? Why did he drop a lifelong habit of literacy when he retired? An explanation for William Shakespeare might make a great novel—or a movie even better than Anonymous.